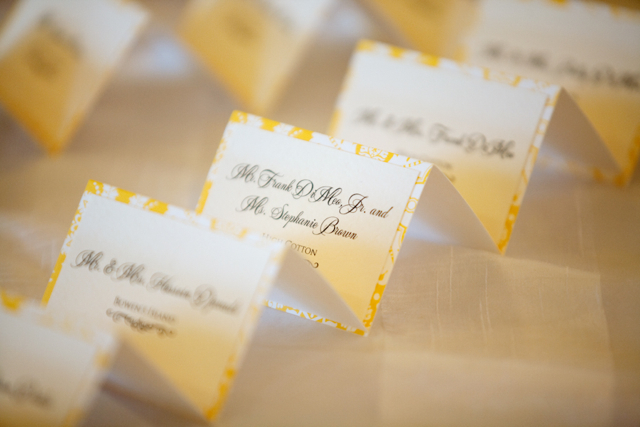 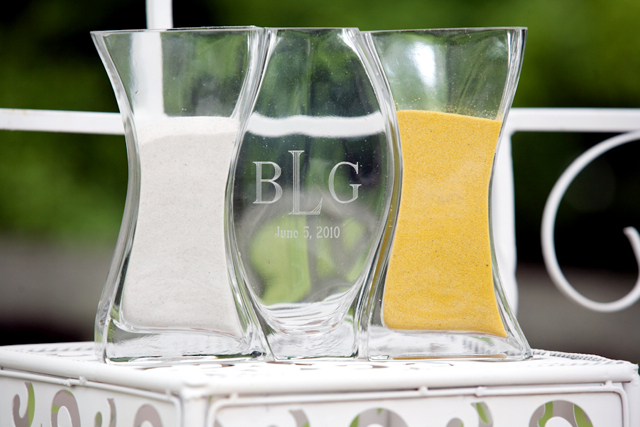 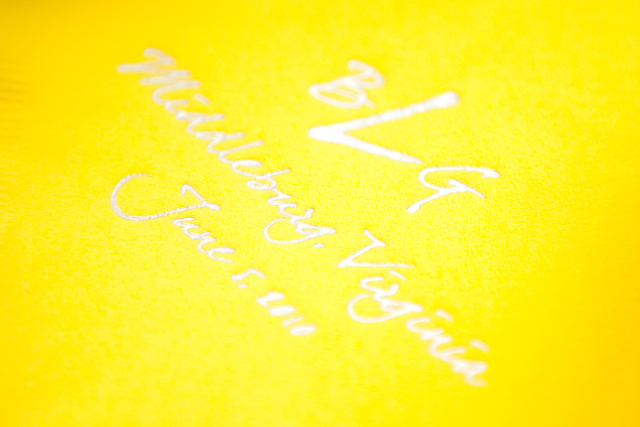 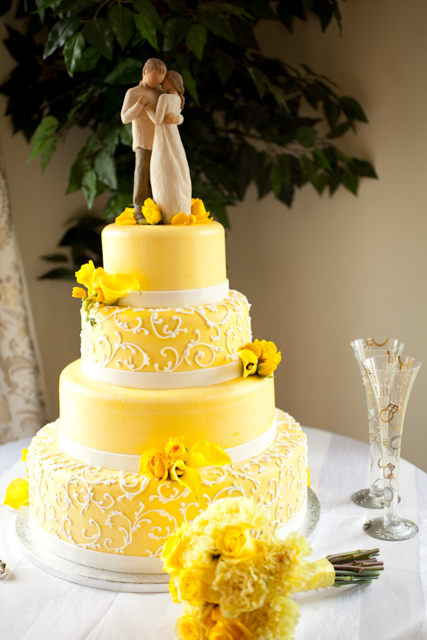 Last Spring I had the pleasure of providing these bright and happy yellow designs for Brittany and Greg. 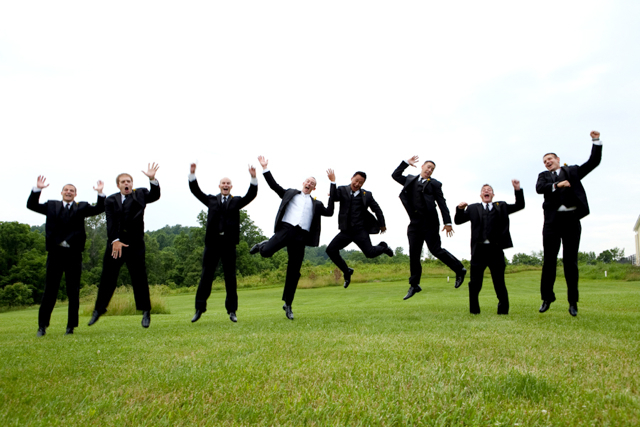 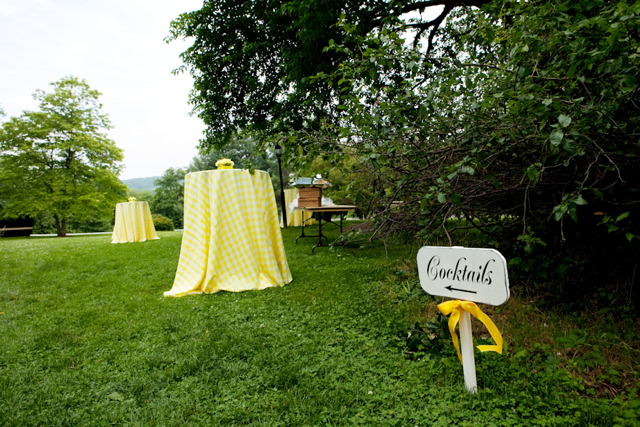 The wedding was another wonderful Loudoun County wedding that took place at the Briar Patch Inn. 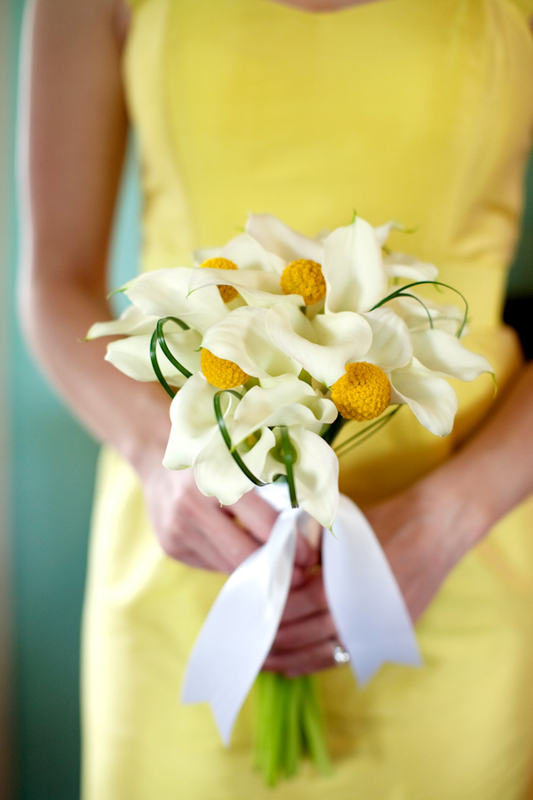 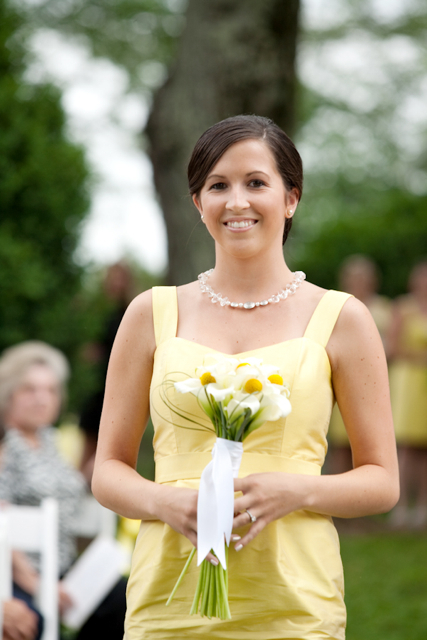 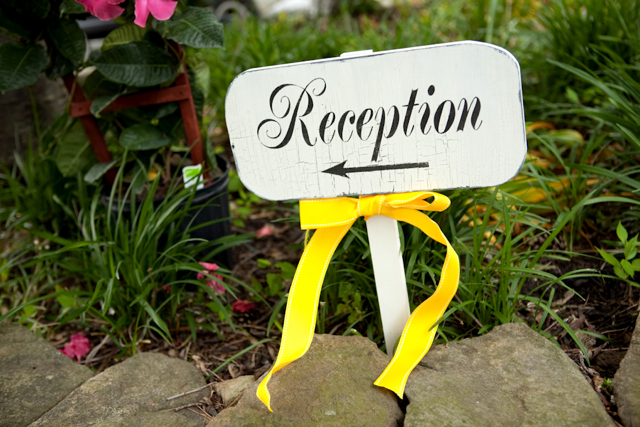 Maids bouquets were created with mini white callas, and yellow billy balls. 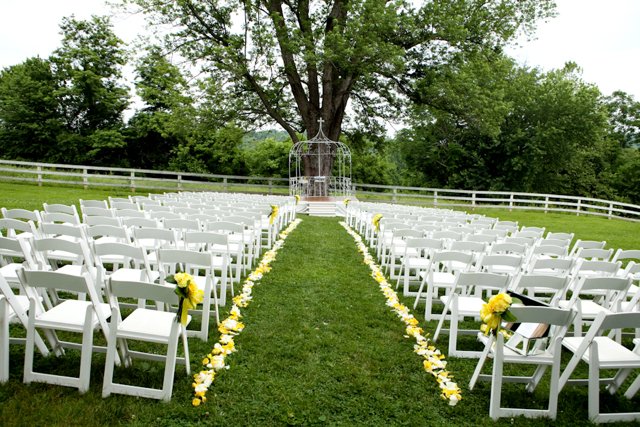 The bouquets also featured looped lily grass. 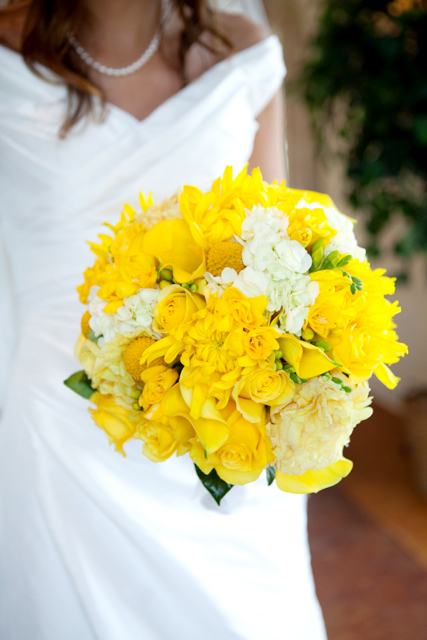 The bridal bouquet featured yellow tree peony, yellow roses, mini callas, mums, freesia, billy balls, and cream toned stock. 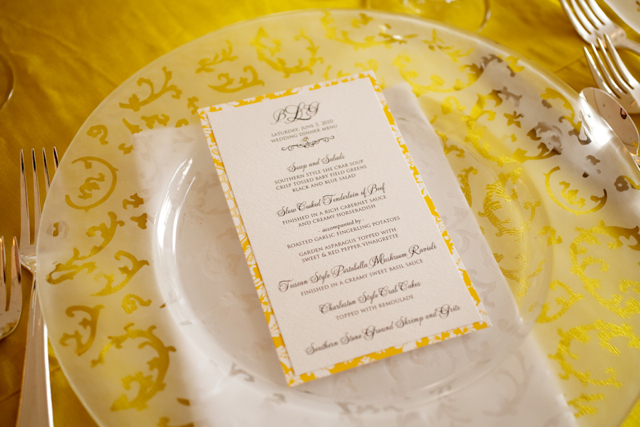 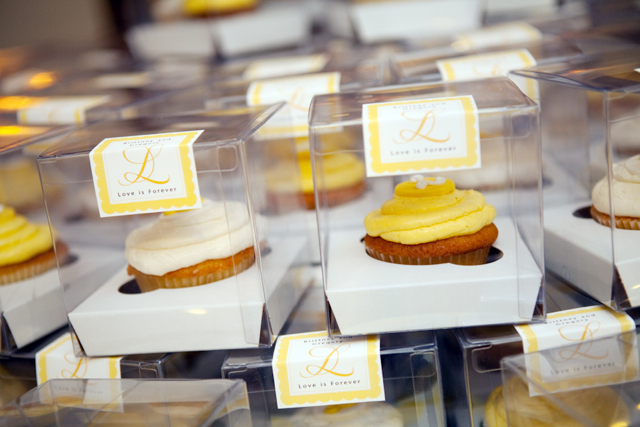 Event styling and design was done by Lisa Shulz of the Posh Planner. 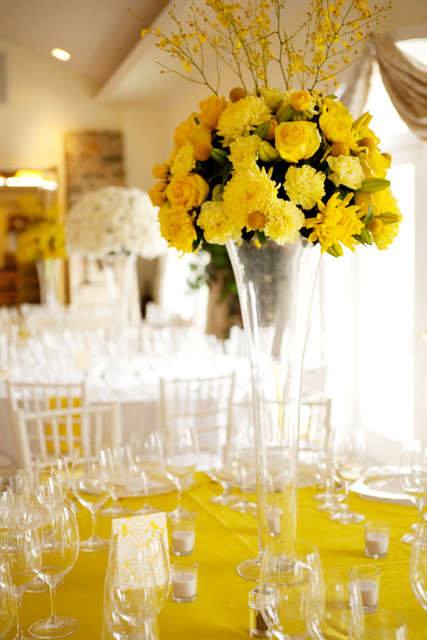 The amazing photography was done by Genevieve Leiper. 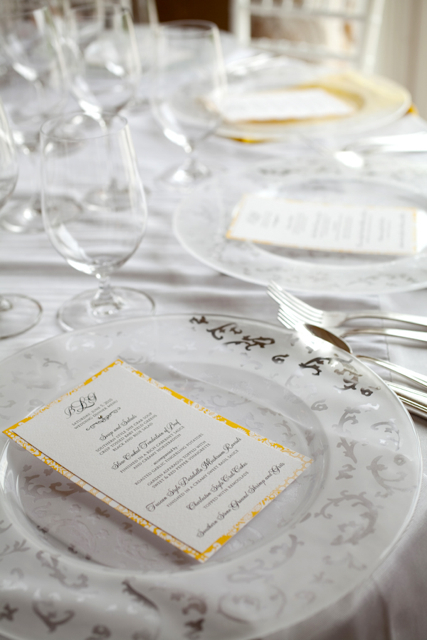 Lisa designed a beautiful space, half of the tables featured white linens and white flowers. 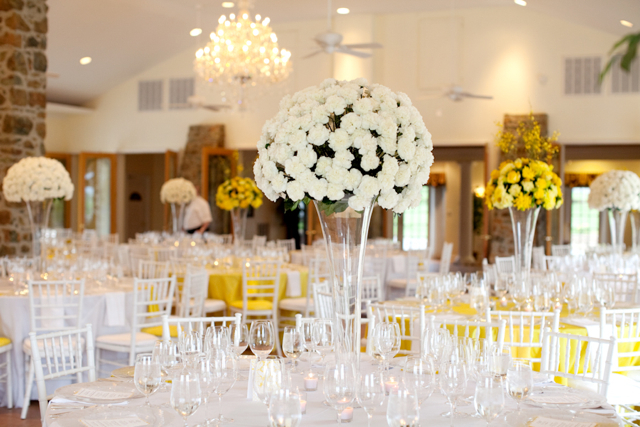 We brought large white carnation balls were showcased on the white tables. 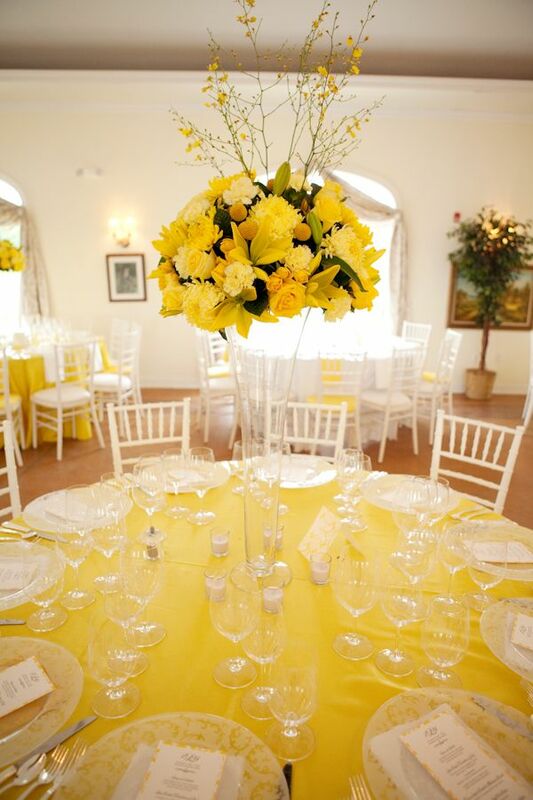 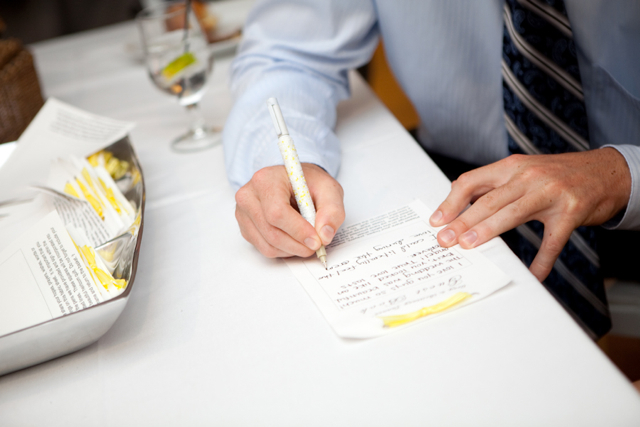 The yellow tables had a popping yellow linen, and my rocking bright yellow centerpiece. 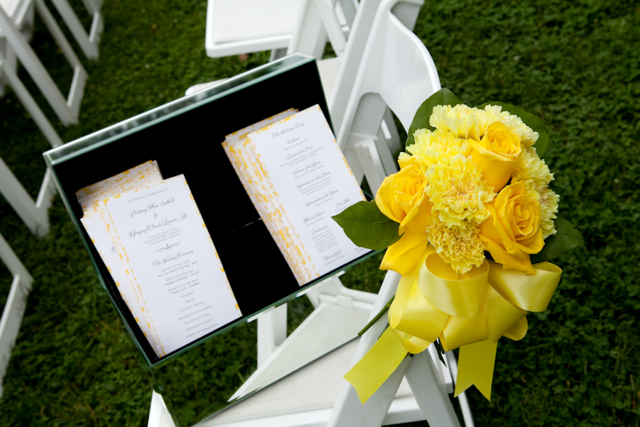 We used yellow football mums, yellow roses, yellow orchids, yellow billy balls, yellow lily, and yellow carnations in these pieces. 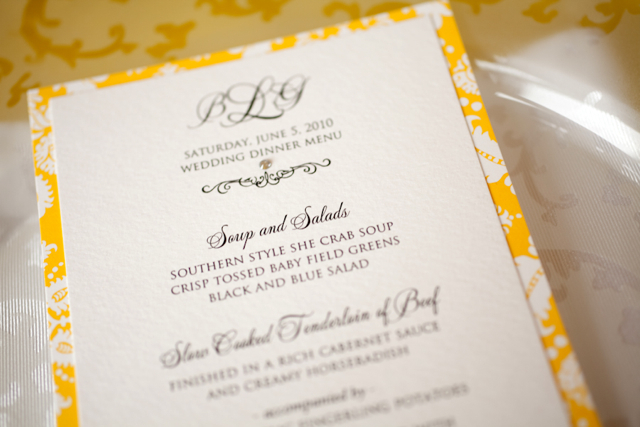 Paper products were done by Christina Barbour owner of Paperzest. 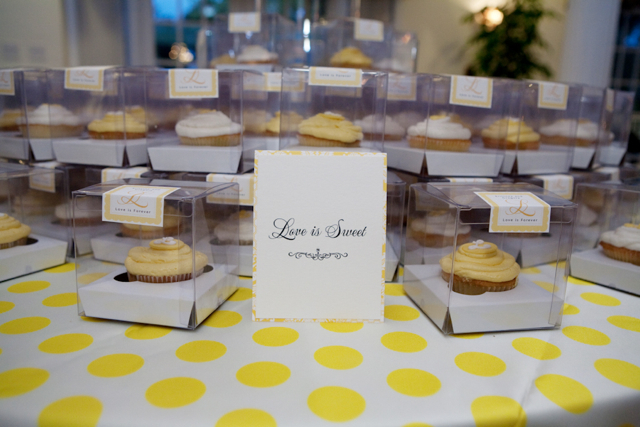 The cake and cupcakes were made by the amazing Rocio Diaz. 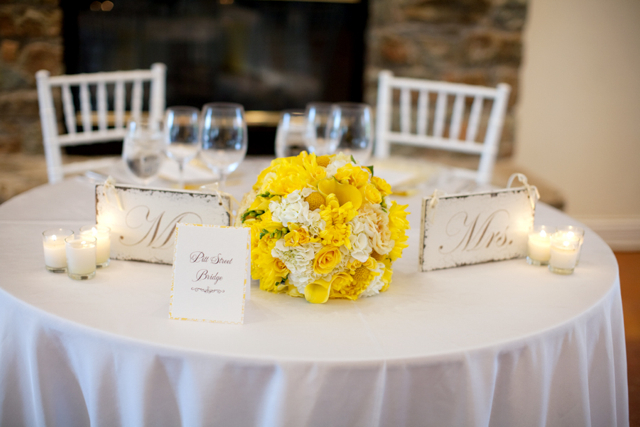 I love, love, love, the look of this table. 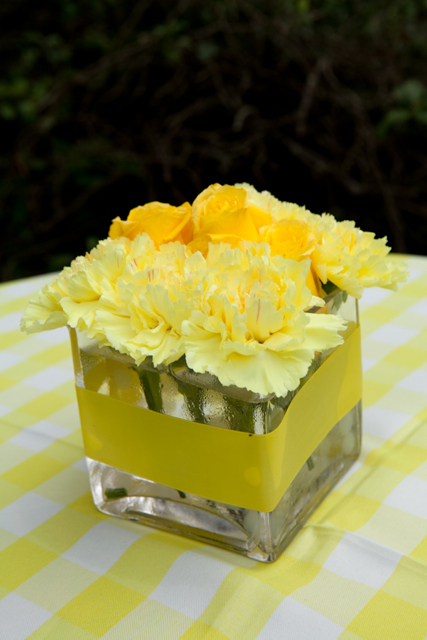 This was a nice bright happy thought for today…. 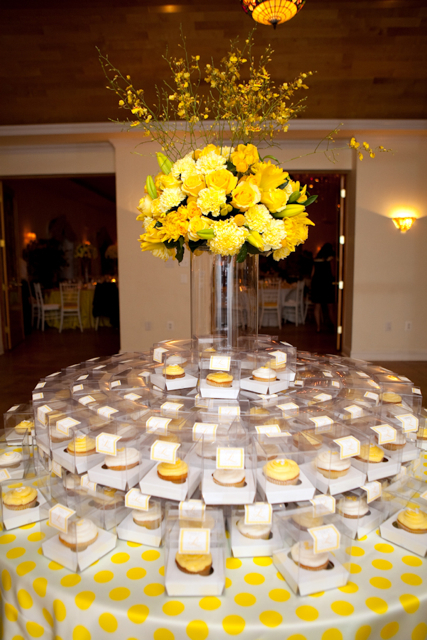 I love the things we do here at Holly Heider Chapple Flowers.